When it comes to planning your Indian destination wedding, there are typically three important factors to consider when choosing your perfect destination location and venue. 1) Can the resort accommodate the size of my wedding and the different events we'll be hosting throughout my destination celebration? And if so, will my events be in an area that offers a sense of privacy? Destination weddings can typically be on the smaller side, but when it comes to Indian weddings these celebrations often include larger groups of 100 people or more. So when planning your wedding, couples must determine right away whether the resort/venue has the space to accommodate larger celebrations. 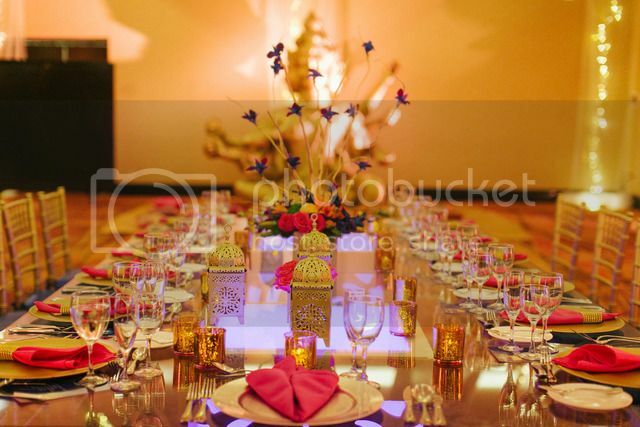 Since Indian weddings usually also include events leading up to the wedding day, it's important to also find out if the resort has a variety of areas available to host the all the different ceremonies and celebrations. Once those two factors are considered, couples should ask whether these spaces will also give them a sense of privacy away from the hustle and bustle of other resort-goers and other activities happening on the resort grounds. The Moon Palace Golf & Spa Resort in Cancun-Riviera Maya is quite a favorite for Indian weddings because of the resort's expansive grounds, which gives couples a plethora of options for the different celebrations and ceremonies such as the Mayian ceremony, Mehndi and Sangeet ceremonies, Choora ceremony, Jugo ceremony and of course all the ceremonial aspects and traditions that occur during the Wedding day and reception. 2) Can my resort/venue provide an Indian food menu? Because Indian destination wedding celebrations typically occurring over the course of several days, food is a key detail couples must consider when planning their festivities. While many resorts do not prepare Indian food on site, and will instead offer cuisine from an off-site caterer, there are resorts such as Moon Palace that are equipped with chefs who are fully trained to prepare Indian food, including use of all the authentic spices and ingredients needed to provide a variety of dishes throughout all the wedding festivities. This may be a key perk for couples who want to ensure that all the food during their events are freshly prepared and readily available for their guests. 3) Are there vendors in the area that can provide the specific cultural services I need for my wedding celebration? While Indian destination weddings have increasingly become more common, there are destination locations that are more popular and accommodating than others in terms providing all the necessities for these types of cultural celebrations. The Cancun-Riviera Maya region is quite popular for Indian destination weddings because the area is blooming with a variety of top-notch vendors who specialize in Indian weddings. 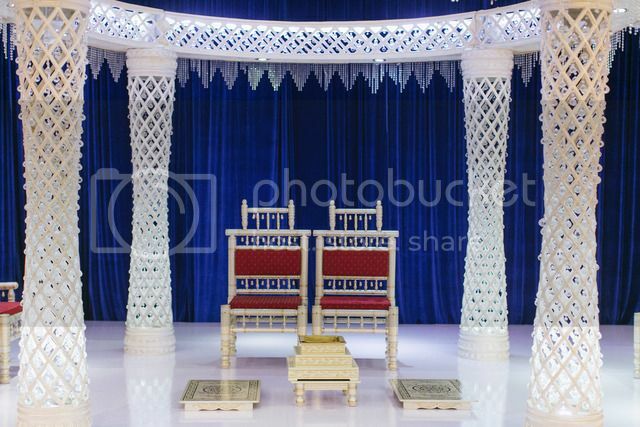 In this area couples can easily find officiants, mehndi artists, dhol drummers, caterers, wedding planners and decor stylists. 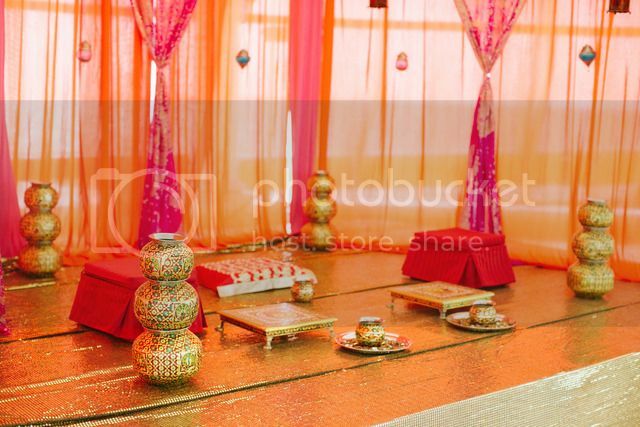 With a series of events happening during an Indian wedding celebration, decor styling teams like LATIN ASIA -- widely considered experts in the Cancun area when it comes to Indian weddings -- are extremely helpful for couples who want to ensure their festivities are decorated with all the beautiful and cultural details needed throughout their wedding celebration. In Cancun-Riviera Maya, you can also find hair/makeup stylists who specialize in Indian weddings -- an important factor for many Indian brides. 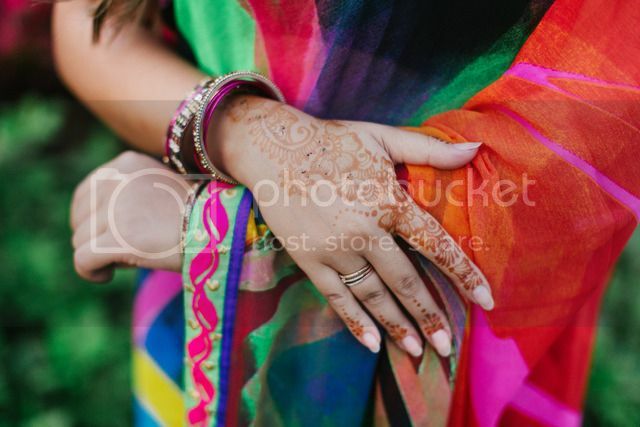 The Styling Trio, a Hair & Makeup agency representing talented artists in Cancun, Tulum and Playa del Carmen, is one of those companies in the area that have trained artists who specialize and cater to brides having an Indian wedding. When it comes to planning a destination wedding, it's always a good idea to reach out to an expert in the area you're looking at -- be it a wedding planner of a travel agent who knows the area well (like Wright Travel Agency which has a group of agents who specialize in destination wedding locations and venues throughout the world) -- because they can help you get started on the right foot as you plan the wedding of your dreams!